Music labels in secret plot to kill off CDs? 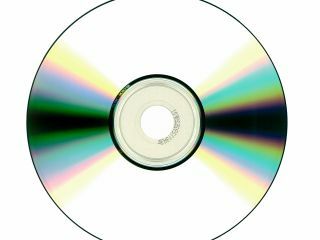 Sony, Universal and EMI could be planning to do away with the CD by the end of 2012 in favour of digital downloads. It may not be an intrigue of 007 proportions, but the news comes by way of Side-Line which claims to have spoken to multiple insiders from major labels who told them the end of the CD is nigh (although none of the major labels will officially comment on the rumour). The sources say that the only CDs set to remain in 2013 and beyond are special editions, which will be produced only for the biggest and brightest artists, and will be sold "primarily" via Amazon. What this means for high street retailers like the already-struggling HMV is that ever-more focus will be put on gadgets and gizmos like MP3 players, headphones and speakers, and less on actual music. But it's good news for Amazon, which already runs a burgeoning MP3 market and can sweeten the deal for superfans with the promise of limited edition discs – a service that Apple's iTunes service can't really offer. It's a real shame for the humble CD though, once at the cutting-edge of music playback and now relegated to the bargain bin at your local charity shop - particularly given that it's only just now on the cusp of becoming legal to copy tracks from the disc to your computer and MP3 player. First the record, then the cassette tape, now the CD. But who or what will kill digital downloads?